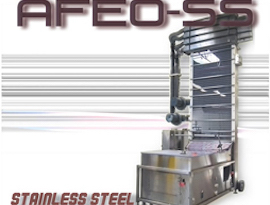 Automatic Feeder Company Inc. - Custom automation for your company. 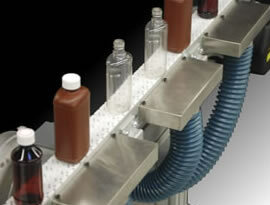 FlexLink® Conveyors are designed for versatility and easy maintenance. Their lightweight, low-profile design, allows system configurations that once seemed impossible. 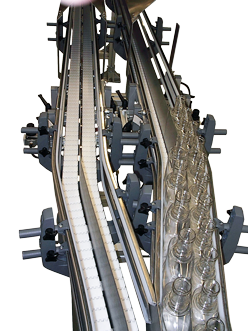 Our conveyors can be customized to divert products from a single lane conveyor into multiple lanes. We can also merge multiple lanes into a single lane. 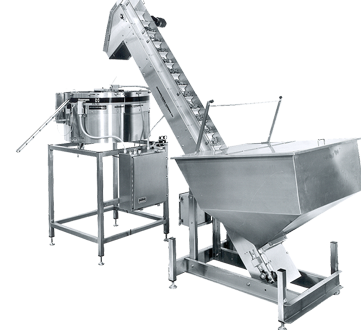 We are your full service Shibuya-Hoppmann centrifugal feeder and prefeeder source. We can provide you with a new custom designed system, spare parts, or a system retool. 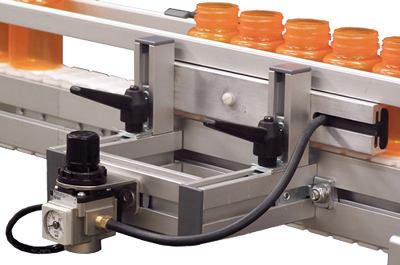 Can be used on any conveyor and available in standard or custom sizes. 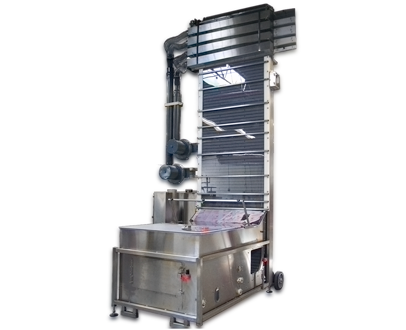 Standard sizes are AFBS-4 (4″ wide x 1″ tall), AFBS-10 (10″ wide x 1″ tall), & AFBS-12 (12″ wide x 2″ tall). The AFBS-10S is also available. 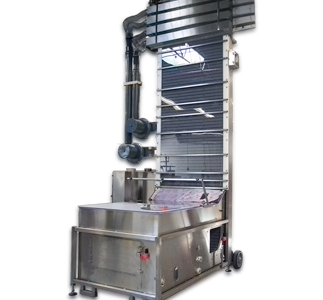 It is an AFBS-10 with a protective safety strip. 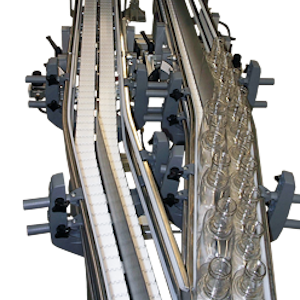 We design, fabricate, install and distribute custom automation equipment and systems. 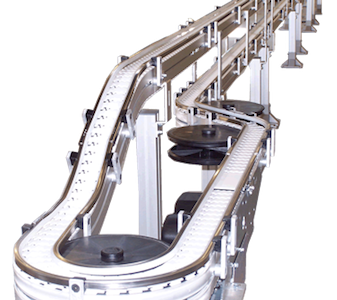 Our products include conveyors, feeders, prefeeders and automatically adjustable guide rail systems. 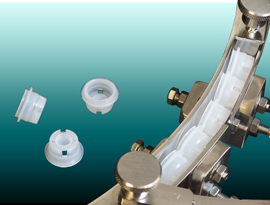 The leader in the manufacturing of pneumatic bladder stops, vacuum beams and elevator orientors. 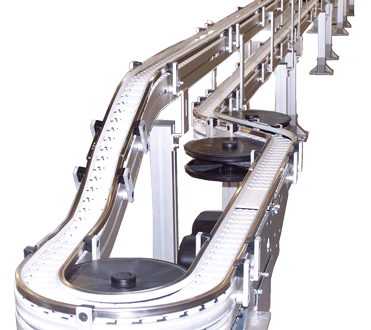 Side-gripping wedge conveyors, alpine accumulators, rod-chutes, C-tracks, twist-tracks, and part escapements also offered. 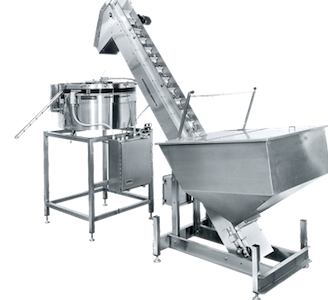 Automatic Feeder Company Inc. is here to help with all of your automation equipment and material handling requirements..
Our Elevator Orienters are available in standard heights, widths, hopper capacities, and discharge configurations. Custom options are also available to meet your specific requirements. Please click on the image above to download a copy of the specifications brochure. 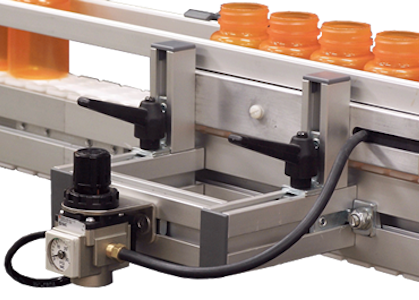 Our Vacuum Beams (for use with FlexLink ® Conveyors) have become very popular since their 2010 debut. Click on the image above to get more information on this product. We are also your source for discharge tracks, chutes, and escapements. Contact our feeder department with your specifications and sample parts for a quote. We add new content all the time. Copyright 2018 | Automatic Feeder Company Inc.